What makes a great editor? Obviously not all of that is ever shown to users, but a lot of it is. Even then, it’s not immediately obvious just how many things you can actually embed right out of the box in WordPress, which is what mystery meat embed discovery refers to. And so when looking at how to improve the editor to both improve but also surface the wealth of features already there, we’ll need to add new UI. To balance that out in an already busy configuration, we need to find a way to also reduce and revisit existing UI, so we don’t end up with something overwhelmingly complex. That could mean combining where we can, minimizing where we can, deprioritizing in places, and freeing up space as much space as we can. There are many ways to get there. Since WordPress accomodates a lot of workflows, it’ll be a fun challenge to improve things for as many as we can, so we’ll need to discuss and research. To kick things off, let’s discuss editor improvements! 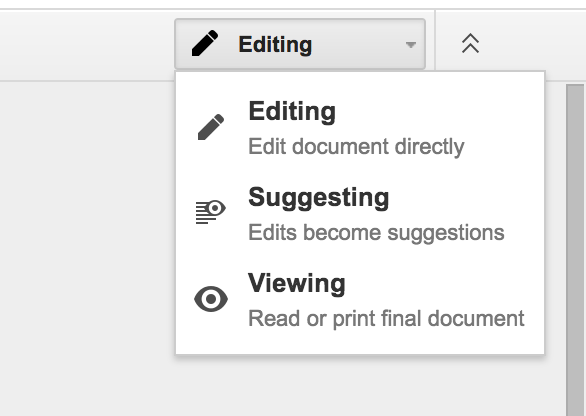 What’s on your wishlist for an improved editor? Feel free to share here, and please also join us in #core-editor. We’re holding weekly meetings in Slack, Wednesdays at 19:00 CET. The next one is today, Wednesday January 11th 19:00 CET. Join in the fun! Improvements also to the HTML editor, as well as preview would be amazing. Would it be cool if preview could optionally be docked so you could have some sort of split-screen view? I think overall what’s been on my mind lately has been better visual representations of whatever you’re editing, whatever the rest of the editing interface is (admin, front-end, something else). So something like the featured image metabox is so separated from what it actually does and what it affects, as is post format (ignoring the “how is post format data structured” part – think icons or colors or title goes under image). There are some funny things that I don’t think any CMS out there does well, like previewing changes in varying context, e.g. how does a new featured image look in a homepage grid vs. on at the top of a single post. Some of this comes back to how themes are built – there are far too many themes out there that don’t do anything with editor styling, which is a major annoyance of mine. And some of it seems like it would get solved when thinking in a block-based paradigm. 💚. This is really interesting. Outside of the technical challenge, can you think of a way this could work? Featured image is especially an interesting one because it relies on the theme to display and position it. It’s one of the worst experiences we have currently in the customization flow — you can edit images added through the Customizer (header images, etc. ), but what if that image is a featured image? You won’t know until you try to change it and there’s no available option. You have to leave the Customizer and figure out what post/page it’s attached to and change it there. I love this new direction for this important part of WordPress. My thinking is a bit non mainstream but i mean only the best. For both the hard working people and the product. I don’t have big data to be inspired by. I don’t know why WordPress.com users do what they do. Click where they click. See what they see or don’t see. That’s why i feel it’s important to ask the question why the editor is important to WordPress. How people use it or willing to use it given the options they have or they don’t. The Editor is pretty much irrelevant for a service or app using WordPress as a back-end. The same Editor is somehow useful for ecommerce sites. It can also be completely ignored for advanced Premium Themes with built-in editors. It is super useful for a person or teams creating content. I always felt that the Editor is way to complex. The buttons, the hidden menus, the many fields, the help. You name it. Maybe the easiest way would be to have a 2 mode UI. Simple and Advanced. I don’t mean a face lift and hiding all the stuff behind a gear icon and a text label named Advanced. I’m talking about a new simpler UI and UX that gets the basic job done. New Advanced options would be available for certain use cases and needs. The new Simple UI would be able to adapt to usage patterns. Hide buttons. Surface menus. For example. The new Editor could recognize the active Theme and adopt to it. A gallery Theme doesn’t need a dozen buttons for text manipulation. It needs an easy easy to upload photos and videos. Another solution would be to unbundle the Editor. Introducing Editor Faces. Plugins which customize the Editor’s look, feel, feature set and behavior. In a very expected and defined way. Think of Editor Faces as Watch Faces for smartwatches. General view with quick access to more stuff / apps. Fully customizable and adoptable while respecting the space they belong. Some really good ideas here. Making more aspects pluggable feels like a solid task to tackle — considering how many people love Ulysses, it would be cool if the HTML editor could be replaced with a Markdown editor with basic syntax highlighting. Yes 👆💚 — if the interface is built right, every feature is in its right place and there’s no need for an advanced mode. This could be through easy configuration, or just through carefully considering which features show up where. A side-benefit of this would be that it has to be done regardless, for the UI to scale well to mobile. I am all for a simpler UI and UX for the editor. There are a lot of great ideas out there for changes to the visual editor. I love content blocks, love moving more and more towards front end editing and more accurate previewing of content. Using metaboxes strewn down the page for non-content items on anything but a desktop is extremely difficult, while tabs aren’t always the best mobile experience it’s better than a insanely tall mobile page without any kind of on page nav to get where you want to get to. while tabs aren’t always the best mobile experience it’s better than a insanely tall mobile page without any kind of on page nav to get where you want to get to. There is a wealth of excellent mobile editors to take inspiration from here. Joen, could you share some examples of the mobile editors you have in mind? Google Docs scales surprisingly well to the mobile form factor, and uses various modal interactions between edit and view to show the most important formatting tools. Squarespace Blog is an interesting study in minimalism, also uses modal options for view/edit. Medium’s mobile editor arguably works better than their web version. Worth looking at. Even looking at non-editors that let you post text with images or other types of content can be interesting, just looking at what Twitter does. Interesting to see what the various platforms chose to prioritise, and lots of good patterns to test out — bottom heavy navigation, icon-only in places. All important when a soft-keyboard takes up half the screen! It’s a very basic tool, but I like how it shows the block type in the left sidebar and converts markdown to rich text. As an old member of the CEUX project, I still think that Content Blocks are the way to go. Because with blocks, your content would be more flexible. It won’t be just a single block of content. You can style blocks differently, sort blocks, create different UI’s for each block, etc. I think that the major blocker today is that usually, the editor area is a textarea with a single TinyMCE instance. Content might be more than just a free textarea. Sometimes content might not be linear, like a blog post. This is why custom field plugins, like Advanced Custom Fields, and even page builders, are so popular today. For example, ACF has a “flexible content” and a repeater field that a lot of the time is used to build complex layouts. But wait, are we talking about content or layout? They are two different things, right? It all depends on the kind of content you want to build. Lots of users today can’t separate the concept of content and layout, they just want to build and easily manage a page. For them, content and layout are the same thing. Again, that’s why page builders are so popular. I’m not saying that the Editor should be rebuilt as a page builder. That won’t be ideal, since there are different kinds of content, and the Editor need to be able to handle most of them. I just think that if the Editor took a more modular approach, it would be great. And would be even better if we could detach TinyMCE from the editor area. TinyMCE should be only for formatting, but right now you can use it to do other things, like adding shortcodes. I love how Medium UI handles formatting. And would be interesting if we had the TinyMCE toolbar detached from the content. We could even display different kinds of buttons based on the “block” you’re editing at the moment. But is this kind of thing possible using TinyMCE? Don’t get me wrong, TinyMCE is really great, and I think it’s one of the best WYSIWYG tool out there to handle content formatting. But, if we want a really great user experience, it might be interesting to try to lower WP dependency on this tool. But then, there’s the “backwards compatibility” mantra that is one of the things that makes WP so successful. How could we do it without breaking (too much) backwards compatibility? These are just my thoughts, the kind of changes that are on my wishlist for a long time. That’s why I thought CEUX project was so inspiring. All great thoughts. The current plan is to tackle the editor first, get it right there, and then extend it to the site building flow so it is easier to build and offer dynamic, rearrangeable pages — so it will eventually extend into “page building” territory, though in my hope, it will encompass the entire experience of building your website, including global elements like your header, footer, sidebar, and whatever new web paradigms emerge over the next year through mobile. I totally agree with that. Mixing content and layout editing makes both tasks difficult and sometimes frustrating. Editors should take into account that the content they write will be seen in different ways depending on the device. Another problem of mixing content and layout is changing theme, if layout elements are mixed inside content when changing theme posts will look broken. I’d think of an approach to clearly split content and layout. And so when looking at how to improve the editor to both improve but also surface the wealth of features already there, we’ll need to add new UI. To balance that out in an already busy configuration, we need to find a way to also reduce and revisit existing UI, so we don’t end up with something overwhelmingly complex. I don’t follow your thinking here. Your screenshot looks just like my editor, except I usually stay in Text mode instead of Visual. It is not a busy configuration; I still sometimes have to figure out what the icons mean and each box is configurable by the user (Screen Options and the little arrow on the box). There’s even a distraction-free mode already. When you say “add new UI”, I don’t think of more options. Instead I think of different presentation, which does not entail reducing anything to balance it. This UI needs to be complex, because it is used for so many different types of input. Most people don’t use all of the possibilities within one post or page — that’s a good thing. But don’t make it difficult to get to any of them, because you don’t know what they might want (and it can change right in the middle of creating). The editor on this comment box is very simple and all that a lot of people need, but I wouldn’t want to be stuck with just that. It also has some annoying things about it, like the way it sizes the text box (at first it was too small for the text I pasted with no scroll bar, and now it is bigger than my screen and I can’t get to the buttons below it without scrolling). I don’t like it when my editor thinks it knows me better than I do. As for content blocks, we actually already have those as shortcodes. If a little glue was written, there could be a better preview that expanded shortcodes. It’s really already there — the Preview Changes button. But there could be much better UI for shortcodes, such as a metabox that lists all of the registered shortcodes. It could even be interactive with the editor to insert them (like widgets or media). Registering a shortcode could take an additional parameter of a description to display in the list, like widgets do. Having been a moderator on a theme support forum, I know that users like to get the page looking just right. But I think that’s the theme’s job, and styling text in the editor should be kept to a minimum, because it could look very bad when you change themes. I think helping users to style using CSS classes instead of inline colors or fonts would be a good goal. With that goal, it seems that the new Custom CSS input should be accessible while in the editor to define the classes and make the Preview work. When you say “add new UI”, I don’t think of more options. Instead I think of different presentation, which does not entail reducing anything to balance it. To be clear, when I suggested it might be worth looking at reducing UI, I did not imply that necessarily had to mean removing features, but rather, looking at user flows and seeing how often you need to use a specific feature and ensure the hierarchy of priorities is right. Maybe you don’t need to see the trackbacks panel in context of the editor, for example, perhaps it’s okay to reduce the size of it and put it in a better context. Those are great observations, and also examples of problems that are worth solving for the editor too. The goal here is to improve the user interface, make posting a better experience for everyone, not just hide features because it looks nicer. But there could be much better UI for shortcodes, such as a metabox that lists all of the registered shortcodes. 💚 I feel the same way — it’s actually crazy how many shortcodes and oembeds WordPress already supports, but it’s impossible to remember all of them. Probably a bunch of people install WordPress plugins to add “video embeds” when the editor already supports it. Making this interface better is, perhaps, the very core of why blocks can augment the editor. What about full screen takeover with a cleaner UI. Can you elaborate on full-screen takeover? Do you mean something like what the immersive mode button does, or full HTML5 fullscreen UI? OK as long as it’s optional. Lots of users prefer to be able to access other tabs and windows as they edit. Yep it would be an option, Medium has a full screen editor. There was a good idea in #editor of making certain options for the editor preferences being set in a users profile. So you could define if the editor was full screen or not. I can’t find any fullscreen features in Medium, where should I look? Do you mean it’s an edge-to-edge editor input field? Some of it is covered here. Do we have any insights as to how normal users get on with the Editor at the moment? If not, it might be a good candidate for some user testing. While writing and content blocks would be a huge improvement, they would still live within WordPress’s single column unless a theme/plugin is adding functionality. I don’t actually think having access to thousands of themes is an asset. In fact, I’m not particularly fond of themes at this point even though there are some quite brilliant ones. The reason is simple: no theme ever really does what the user wants out of the box. They have design, layout, and content restraints that prevent us from achieving what we want to with a site without dramatic modifications via plugins and modifying code. I think using content blocks in a single “super theme” that is ultimately extremely customizable is the start of something that could be used for something much more flexible than what we currently have. I’m not the first to suggest this and won’t be the last. In a similar vein to that, I’ve used several other site builders and I’ve been pleasantly surprised by a few of them. Their strongest asset is that they haven’t divorced content or writing from the site in any way. Images, menus, headings, and writing are all equal citizens and can be arranged pretty easily. Each of them with their own set of controls. My point is that when creating a business site, a blog post, long form content, a gallery, an education site, or a portfolio, our users shouldn’t have to do heavy development to create the content the way they envision it. The editing isn’t divorced from the result. I think using content blocks in a single “super theme” that is ultimately extremely customizable is the start of something that could be used for something much more flexible than what we currently have. I am coming over to liking the idea content blocks. Linking to files from media gallery should be easier. Instead of just being able to insert media or files, text and images should be able to be linked to items in the gallery without having to manually copy/paste the URL. Somewhat related to different workflows, we’ve had some conversations about the WordPress.com Reader and how tying in an editor more closely would help with certain flows. Once upon a time there was an Instapost editor on WP.com for instance. Right now, you and I are using an editor box which is customized built for o2/p2. There are a lot of different editors in existence, and it would be very helpful to have a multiple versions of a single editor that can be used in different places. Unify the experience more so that I know that pasting a link onto some highlighted text will work anywhere even if I am just editing a widget or writing a comment. Just putting in a vote for an editor that can be easily customized to some extent for these different use cases. Such an editor would help not only the core WP editing experience, but also help plugins and themes build amazing editing experiences that are customized for particular niches. If the editor itself, including toolbar (docked or not), could contain everything you need to author a post — formatting tools, list making tools, block/media insertion tools, this alone would help componentize the editor. Not necessarily from a technical point of view — that’s a discussion also to be had — but from a user experience point of view. That might open up possibilities for completely changed workstreams! #1: A good editor produces simple markup that’s accessible and portable from theme to theme. That’s a requirement I think applies equally to TinyMCE and any future “content blocks” style setup. That means good HTML5, proper heading structures, and aria where needed (probably mostly to hide things). #2: A good editor helps users focus on communicating, not designing. By that, I mean that layout, color, images, media etc. can improve or worsen communication with visitors, but problems arise when an editing interface (*cough* front-end editing *cough*) encourages users to micromanage something like the number of lines in a paragraph since that will change based on browser size, content fed into other systems (Feedly, Pocket, AMP, Readability Mode, etc. ), and content that’s reused (i.e. the title also appears in the “Recent Posts” widget in the footer). Quick followup: Building on point #2, rather than ragging on front-end editing, I should just clearly say that I think there is a very strong case for separating content editing from site design. The importance of this distinction grows exponentially as a site gets larger, passing 10, 20, or 50 posts (lower case p). @melchoyce alludes to this a bit in comments on the “What Makes a Good Customizer” post. So that’s all to say that the question of what makes a good editor may shift depending on the use case. I’m not sure where an 80/20 take would leave us either. Also amusingly kind of my biggest maintenance workflow. Text posts with occasional images and video, tweet, or slide embeds. That quote is so good! Yes, I do agree with the sentiment in #1. One of the challenges is figuring out how to bring “blocks” without sacrificing the lean and semantic nature of the content field data—which is capital for WordPress as a publishing platform. I hope to post some ideas around this shortly. This is really interesting, and as I read through the discussion on this page, it seems that several people have suggested this indirectly too – that is, the idea that a set of editor use cases are created, and editing instances customised for each use case. Perhaps this approach could help to balance the options vs decisions tradeoffs that are so hard to make…? Perhaps this approach could help to balance the options vs decisions tradeoffs that are so hard to make…? It would seem a good way to balance a wealth of features against an already pretty heavy UI. Mobile interfaces do this to great success. What is my perfect editor: One that writes my content for me. I was super excited to hear during State of the Word that the editor was going to be a major focus over the next set of release cycles. I know a few core people have been steadfastly supporting and making incremental changes to the editor, but I still find it in desperate need of a re-imaginging. I administer a website for an amateur sports club. My users are those members who have to write updates about what is going on in the club, update race results, etc. Let’s say the majority of them have a low degree of computer literacy. I’ll freely admit that many of the troubles people have could be to do with my theming and how I have the site set up (although I’ve stuck to the WordPress way of doing things as much as I can). Anyway, my point is I’ve watched people struggle with the editor for a long time. I’ve seen people write short status updates in the title field then leave the post content blank. I’ve had people update PDF docs and end up putting them in the middle of a block of text, or not updating the link text so there is a non-sensical filename. I’ve had people upload and embed a series of images one after the other because they didn’t see you could make a gallery. No one uses tags, categories or featured images even though they are set up and the theme uses them. Sometimes we end up with several draft copies of a post as people re-start posts over and over again; if I mentioned revisions, I’m sure I’d get a completely blank look. Let’s suffice to say my users have great difficulty in using the editor. This is of course just for the blog posts. A lack of understanding in just how the editor works prevents them from doing any updates to static pages. Let’s face it; the editor was designed for writing blog posts. Over time it has been expanded and is now expected to handle completely undefined content types. It’s remarkable that it manages this so well, but I think it would be interesting to consider what the editor would look like if it didn’t already exist? What would it look like if you took away TinyMCE? What if you didn’t have metaboxes, or a publish button? Based on what my users have struggled with, I’ve often wondered if a multipage publishing flow would help them, almost like a shopping cart: write your post, add your media, add some taxonomies, this is what it’s going to look like, you want to publish? Great, let’s check your spelling (oh, and I’ll make that web address into a link for you as well); how about a featured image? Do you want to publish this now or later? Ok, you’re all set, click this big button and we’ll make it live. Of course, I myself and I’m sure many other people would hate this workflow; I don’t need to step through all of this because I know what I’m doing. It would be ghastly for editing pre-published pages. Since the idea was raised of using content blocks several years ago, I’ve always liked this idea. It could be a massive usability boost for those users who think that writing anything involves opening Microsoft Word. I use that example because a theme-width editor with a ribbon of content blocks seems inviting. It makes a lot of sense for helping users select the appropriate HTML to use, and would be fantastic for those shortcode only pages (which for the un-indoctrinated are utterly mysterious). It also seems like a nice balance between full inline WYSIWYG editing and full content/layout separation. Neither are ideal. For users layout is content. However I think it would be almost impossible (and undesirable) to build a complete inline editor that also lets users deal with responsive layouts. This reminds me of publishing with LaTeX -the software decides where figures and tables should be – much more so than the content separation in HTML. Perhaps all I’ve described is a page builder or a collection of other plugins. Overall I think the editor needs to be a lot more intelligent and adaptable. I love the previously mentioned idea of making it much more pluggable. A one editor fits all approach is never going to work in a world where WordPress is the app platform for a multitude of different services. But being able to choose the best workflow for my needs from the plugin directory seems sensible. The core editor should really be about providing the basic infrastructure and API, and providing the intelligence to deal with post content (i.e rendering shortcodes, embeds, auto titles and headings etc). Hopefully my first statement is just a little clearer now. I think there’s definitely something here. Taken to an extreme this would fall apart, as it would require making too many assumptions. But I think forcing a selection of Title, Slug, Parent (since it impacts permalink), and possibly Template (if multiple exist) when creating new content makes a lot of sense. On second thought, maybe even just the title and then everything else. I could see this “centering” a user and helping them clearly identify and focus on the content they want to add. Taken to an extreme, we’d likely end up with a “wizard” — this is probably to be avoided so as to not interfere with the publish and move on workflow. However if we use this “thinking in flows” method for looking at each and every current feature of the editor, perhaps answers will present themselves as to which flow each feature needs to be part of. Perhaps tags, for example, don’t need to be permanently visible in a big box on the right, perhaps they can live as something you add in a publishing flow. Medium does something interesting here. This is a 🚀 comment. I think it would be interesting to consider what the editor would look like if it didn’t already exist? This is an absolutely superb question to be asking. It’s exactly the kind of openness and rethinking the editor probably needs at this point. You also suggest thinking in flows — a flow for editing and creating, a flow for adjusting metadata, a flow for publishing. It’s a wonderful approach, which can help inform a good foundational layout by categorizing aspects of the editor into each of these flows. Glad you think so. Definitely feel that workflows need to come first. Of course the publish and move on workflow is super important as well, so the editor needs some intelligence to be able to adapt. Recently I’ve been thinking about photoblogging, and how hard it would be to create and maintain an Instagram-style site, because the back-end of WordPress isn’t made to support that kind of image-mostly flow. You’d have to create a theme that doesn’t display the title, category, etc., and even then it would be hard to maintain in the back-end because we show you titles (and excerpts, if you know how to turn that on), but not featured images. Even the idea of adding a featured image in one place, optional caption in another, and then tags in another place makes it a super rough approximation of Instagram. There’s no sort of customization available to the editor to suit the use-case you’re creating for. Photoblogging isn’t something WordPress at all makes easy. For example, I moved my own photography blog from using WordPress to using Flickr for bulk and posting back. I have made numerous attempts at making WordPress work for my photography but it doesn’t every time. There are a lot of issues we run into such as flows and themes. I really would like to see the media flow reviewed along with editing. The existing Editor is desperatley in need of a major overhaul. The single column text editor just doesn’t cut it in todays modern web experience. Having one long, single column block of text may be ok for blog posts, but the web is more than just blog posts. The Editing experience need to be akin to the many page builders that are currently out there. The ability to add rows and multiple columns is a must have! Even trying to do the most simplest of things in TinyMCE such as adding 2 columns of bullets points for example, is such a painful experience. Most times you end up having to use shortcodes to create columns and that is an absolutely horrid editing experience, even for the most experienced WordPress user. Users want to be able to create more complex, multi-column layouts. You only have to look at the tens of thousands of users out there who are using the multitude of page builder plugins and themes. There’s huge communities of people using Beaver Builder, Divi, Visual Composer, Elementor, Page Builder Sandwich, Thrive and dozens of other page builders. It’s been obvious for years that this is the kind of functionality that end users want. WordPress needs to have some sort of page builder that is also extensible. There are soooo many pages builders out there at the moment (plugins & built into themes) and none of them provide the perfect editing experience. They either leave a mess of shortcodes in the database, have a horrible ui, or they’re just buggy and slow. Having an editor with page builder functionality that was also extensible would allow developers to build extra functionality on top of it while at the same time, keeping some sort of standardised interface. The proliferation of page builders has lead to such a mess of non-standard interfaces when it comes to editing content. Along with the ability to add columns and rows, there needs to be a decent set of content modules (i.e. content blocks) that can be added into your content. Content modules that allowed you to easily add images, galleries, text blocks, videos and buttons are just some that come to mind. As an added bonus, it would be great to see an official set of extra content modules provided as a plugin, for those who want extra functionlity. Things like Tabs, Accordions, Sliders, Maps, CTA’s, just to name a few. As far as front-end editing goes, personally I don’t care about that, as long as there is a decent editor in the dashboard. All the front-end editors that I’ve used, and I’ve tried heaps, never deliver an experience as good as they say they will. And personally, I’d much rather preview my page in its own browser tab, exactly as the end user would see it, without any toolbars or editor tools cluttering up the display. Also CC: @melchoyce for the customization experience. Some people mentioned workflows which I think would be very interesting to keep in mind (maybe even start with in this process?) when trying to take a new look at the editing experience. Here I like eg. how Beaver Builder gives the user the possibility when creating a new page to choose from user saved templates or theme predefined templates. The only thing I might be missing from that step is the possibility to also here copying an existing page from the same step because I think that is a very useful and common use case. This concept could also fit well in to the starter content concept that was introduced in 4.7 and maybe also with the standard WordPress page templates that exist as an option in the “Page attributes” meta box. And then papi also present the user with a customized editing screen with meta boxes which are laid out on the editing page according to the page type. (eg. if the featured image is to be shown at the top of the page, that meta box would be listed at the top of the editing screen). 1) A thought on the Visual / Text mode and also when bringing up other these other examples such as Google Docs, Word, Beaver Builder, Medium, Squarespace. I don’t think anyone of those examples even give the user the possibility to switch between Visual / Text modes? I am not saying a text/html editor should not be available at all (one of WordPress great feature is it’s flexibility), but maybe the standard should be to only have a visual mode (maybe the text/html edior is a user setting)? 2) What if we took a mobile first approach for a new editor experience in core? Doing that would make pain points such as too many formatting options, adding/editing content blocks and meta boxes even more apparent and may force us to have to rethink the entire editor even further. This is a 🌟🌟🌟🌟🌟 comment. Thank you for recording video as well. You raise a lot of excellent questions regarding the page editing aspect, which are important. This speaks also to the overlap the editor could potentially have with the customizer, which is also a focus project this year, so CC: @melchoyce and @westonruter. Specifically the page type flow that Papi has looks interesting. I don’t think anyone of those examples even give the user the possibility to switch between Visual / Text modes? This is a core discussion to have, and probably worth asking users about in a survey (which we’ll probably send out soonish). From anecdotal feedback to a tweet I sent out, it seems there’s a huge amount of people who use primarily or even _only_ the text editor. Again, anecdotal, but it suggests we should ask why the text editor is important to this group. Personally, it’s to fix tag soup. I love TinyMCE, but like with all editors, every once in a while things mess up. I’ll paste something even though I know I shouldn’t, and suddenly the font is wrong, so I switch to HTML to fix that. This new version is more similar to a traditional word processor, and it can do things that don’t exist in regular web pages. This includes tab stops and margins. To do this, we no longer store your document as HTML. Instead, we use a more expressive rich text model to represent features that HTML cannot. We don’t let you directly edit HTML or CSS because we can’t: the new editor doesn’t have a “raw” HTML version of a document. At this point we know that mobile is winning. _Not_ designing a new editor with mobile as a first class citizen feels wrong on many levels. So yes, probably mobile should inform everything we do. Incidentally this can help inform flows — there’s an editing flow, perhaps this flow is separate to editing metadata and publishing. It could also, as you suggest, inform a visual editor-bar that shows formatting buttons based on available space, instead of having a literal “kitchen sink” button, and then puts less oft-used buttons in a responsive overflow button on the right. Kind of like Docs does, also. That’s my biggest use-case as well for flipping over to the text tab. I think there are a lot of improvements we can do to reduce the need for flipping back and forth…. for example improvements to the TinyMCE “Clear Formatting” command. Having said that, flipping to HTML mode is always going to be with us I suspect. At this point we know that mobile is winning. _Not_ designing a new editor with mobile as a first class citizen feels wrong on many levels. So yes, probably mobile should inform everything we do. I think we should try chat with folks who frequently use WordPress from their mobile browsers. I’ll occasionally use my mobile browser, but it’s just so much easier to use the apps instead for me, personally. At Ephox (the new major sponsor of TinyMCE), we developed a mobile-first editor before we took on TinyMCE. We have a new mobile-friendly UX library “Alloy” that we are close to open-sourcing that will really help out here. We have a slightly, different experience optimized for each device so it is worth playing with it on mobile and desktop. A lot of great ideas on this post. Getting to it pretty late… (long vacations this year). Anywho, here’s what I have to say. Matt said the Editor would be more blocks like and Weston suggested the JS Widgets can be a real contender for this kinda thing. I agree with him on that. I think there are many ways we can tackle the editor upgrade. But even before we jump to any kind of conclusions, it is important to review what are we going to improve. You see, things aren’t as simple as they should be in the case of any other CMS. The editing experience is a multidisciplinary product. I am going to list down a few things that I think a modern editor could have inside it and we can see what we can really do out of all this to improve the complete writing experience. — Content writing: Are we going to load all WordPress admin for just writing an article? We can take inspiration from the Press This here and improve upon that. — Editing & Collaboration: Collaboration is by far the most ignored concept when you review the current WordPress editor. Are we going to do something about it, or is that something core shouldn’t have — not everyone needs it? — Previewing: This is another multifaceted problem. I think the new editor can improve upon the gap that exists between what you write and what ends up on the post page. A lot of great suggestions on this part, — all I’d want to add is that Customize Posts is a good project; maybe we can take another hard look at it. — Revisioning: Revisioning can be very useful. Improving the editor this year — does that entails improving upon the complete editing/writing experience or are we just going to develop a particular set of points that are deemed to be more important? IMHO, This is one of the gray areas for the core. A lot can be done to improve upon current workflow of revisions. A lot of WP users are pretty much unaware of how it works. The least I can say is more communication and education about `Revisions` would eventually build a strong user base here. Just a thought. — Markdown Support, eh? : Thinking out loud here. Should we? All of that said, I am pretty excited about this new direction like almost everyone else. I think that we are going to end 2017 with a better WordPress, which will be more user-centric than ever. Throwing out a random thought that’s somewhere between conceptual thought exercise and UI: What if text formatting were like “painting”? You click the Blockquote tool and click a paragraph to apply the style. Then you SHIFT+CLICK three consecutive paragraphs to put them into a call-out box. That’s all I got for now, but thought I’d throw it out. Definitely not a solution for every necessary function, but the general idea of selectable text blocks that you can apply styles to fits nicely in my hoped-for future where content still comes first. Cool ideas. Would love to see more power-user features grabbed from other editing tools, like the “highlight and paste a url onto text to make a link” shortcut that exists in the editor currently. A format painter is somewhere on the roadmap for TinyMCE but we could potentially bring it forward into 2017. But even before we jump to any kind of conclusions, it is important to review what are we going to improve. You see, things aren’t as simple as they should be in the case of any other CMS. Excellent thing to keep in mind. Even without technical improvements to revisions, visual and usability enhancements alone could go a long way to improve the situation here. Treating it as a first class citizen and important feature, rather than a metabox that you have to dig up. Even if possibly out of scope or not a fit for the core offering, we should probably try and ensure markdown plugins can make an even better experience than they can today. What if a markdown plugin could replace the entire editor field with a split-screen markdown/preview? That could be pretty nice. Really excited about this as a revisions UI refresh was planned and we can combine it. I’ve brought it up a couple times in passing, but Editorially (RIP) had a really great, editor-first revision system. (You can kind of see it in action here). Would love to chat more with big media companies to see how they handle things like collaboration, editing, and revisions. Editing & Collaboration: Collaboration is by far the most ignored concept when you review the current WordPress editor. Are we going to do something about it, or is that something core shouldn’t have — not everyone needs it? Editorial workflow is a gap in the core editor experience. The editor role is just a nod to the use case, while the Edit Flow plugin offers some solutions. Beyond that, improving core collaboration methods could be a key to moving upmarket on the SMB-to-enterprise scale. It’s not just an editorial workflow concern, it’s termed “Author Experience” by Rick Yagodich. AX≠UX. It’s not just a UI design thing solved by blocks, it’s a communication methodology for progressing content strategy to content modeling to content creation. But, is this a use case for the editor? A solid editorial workflow is absolutely something to keep in mind for the editor. Even if specific Edit-Flow-esque improvements may be out of scope for this particular iteration, it’s always important to have it in the back of the head so we keep things pluggable, and don’t paint ourselves into a corner. The difference between Twitter and Instagram is ALL in the CMS. One starts with text, limits you to 140 characters and over time has allowed you to include multimedia. The other starts with a picture and you can add text only as a comment, but you have unlimited characters in those comments. This really makes me think that a call for examples of pages you expect to build in a future editor is important for defining both what is on and out of scope. As this conversation continues, it should become more concrete. Starting with the content, and assuming everything surrounding it, I think is a 🎯 way to approach it. 1. When copying content from anything else then MS Word, so often there are divs, classes, styles and so much useless tags imported, which makes it somehow irresponsible to pass WP over to the client to whom you can’t tell to buy MS Word, or to check in the text editor for garbage. On the other hand, the plain text solution is not good either, because we want to keep bold, italic and headlines that we or the client has formatted into his text with lots of effort, no way to do it all over again. removes and tags, or any other structural elements that have nothing to do inside our text content. This is my vision of how a pasting process should work so I can hand over my hard work to my happy clients without ruining their experience with the unprofessional behaviour of the pasting process. Please keep in mind the end-user. I hardly know one that writes his text directly in WP. They write in Word, Open Office or any other text editor they use and then copy it into their website. I get texts sent by mail or in .docs that I have to copy into the website. This is at least my daily reality, and I would really apprectiate if you put a big focus on the pasting process, offering great tools to make it clean. This would be what I call a true step forward, no matter how the formatting is solved afterwards. I personally don’t need a web application, I like editor buttons. so he can choose of some different list-style options that I created in CSS for him. My daily life without exception happens in the visual editor. My clients don’t need to be bothered by tags, so the text editor is nothing they should ever be forced to go into to insert ‘class=”icon_checkmark”‘. Such things I ned to be able to offer them in the visual editor. And yes I agree with a much better table experience. Right now it is another point that can hardly be given to a client.